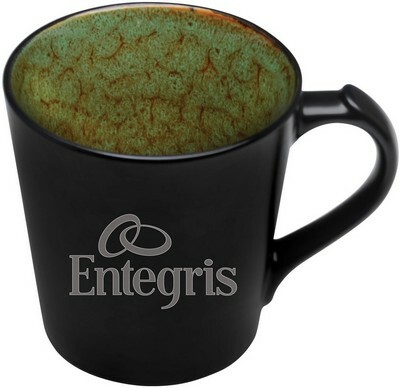 This 14 ounce VÖG glazed coffee mug has a colorful inner reactive glaze and elegant style handle. Our 14 oz. VÖG Glazed Coffee Mug features your logo and will ensure that your brand will be seen and remembered. Comes in your choice of inner reactive glaze color and a black satin exterior. With an elegant renaissance style handle, each piece is perfectly molded with custom printing, making it ideal for promotional giveaways. 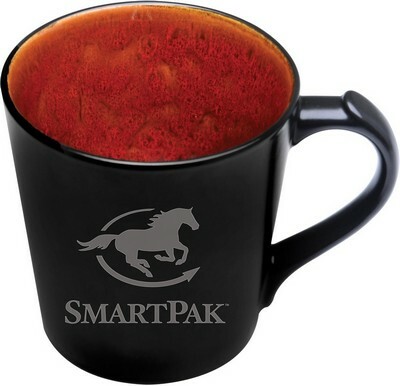 You can embellish the item with your corporate logo or brand information and use it as a token of appreciation and for brand building.